Table Size: 560 x 255 / 22" x 10"
Up / Down Movement of Table: 75/3"
Longitudinal Movement of Table: 305/12"
Max. Depth of cut: 140/5.5"
Width of hole can be adjusted between 6 mm to 75 mm. Length of hole can be adjusted between 25 mm to 200 mm. Maximum depth of hole 125 mm. 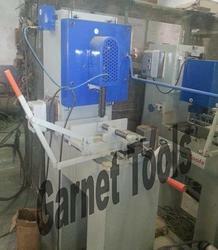 Any size of chain can be fixed in this machine. Power required 2 H.P. (2 H.P. Electric Motor and Switch are given with the machine). 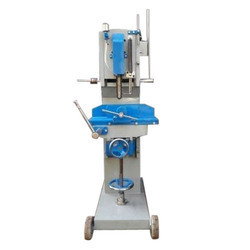 Machine Capacity: 25MM x 1.3/4"
Size of work table: 22" X 10"
Maximum depth of cut: 5"